I’ m not sure why the posters and photos didn’t show up on the Weekly Wire this yesterday. I’ll try sending it again and hope for the best! Two new job opportunities this week! See below. Lisa Neudorf was ordained to Elder by Denise Esch and her Dad, Barry Williams. Rick Fisher was ordained to Elder by Dan and Denise Esch. From left Barry Williams, Lisa Neudorf, Denise Esch, Rich Fisher and Dan Esch. Camping and Retreat Program Specialist is one who provides leadership and support to leaders to create and sustain vibrant camping and retreat experiences. Through camps and retreats they assist in establishing and reaching goals aligned with the Mission Initiatives. With development and invitation being a focus of this position the ministry will attend to specific needs of the wider mission. The goal of this position is to create and organize a sustainable, vibrant camping and retreat program in Canada West Mission. This has potential to be a four year position. Camping and Retreat Program Specialist is supervised by the Mission Centre President (MCP). They inform the MCP of all important issues in their camps/retreats and communicate regularly with all mission centre staff to share ideas and celebrations, coordinate missional efforts and maximize mission support. Camping and Retreat Program Specialist is expected to visit congregations and become familiar with the congregational leaders, members and programs. They regularly communicate with congregational leaders in regards to resources, training, personnel and other communications by the mission centre and world church. Camping and Retreat Program Specialist may preach, teach, provide training and facilitate workshops. ○ Initiate and lead focused retreats. Building Effective Teams, Developing Others, Managing Vision and Purpose, Motivating Others, Organizing, Approachability, Communication, Invitation, Managing Diversity, Integrity and Trust, Listening, Priority Setting, Work/Life Balance, Scriptural/Theological Knowledge. Help Strengthen Canadian Field Peace/Justice Efforts ! Consider helping the Canadian Field in its Peace/Justice Efforts! The Canadian Peace/Justice Committee is forming subcommittees to help address some of the issues that swirl around us. Do you feel particularly drawn to any of the following issues? - Others? Child Poverty, etc. – let us know your area of concern. We are creating subcommittees to explore the above issues. So please contact a committee member, listed below, if you feel you might be interested in being part of this impactful effort. As a church committed to the pursuit of peace, there are many ways that we, under God’s Good Spirit, can join with others to help further God’s desire for true shalom for all! You're invited to come participate in preparing the kitchen, dining hall and cabins for another wonderful camp season! Please wear work clothes and join us for a fun day of whistling while you work! We'll provide lunch, just drive on over and bring a friend or two. 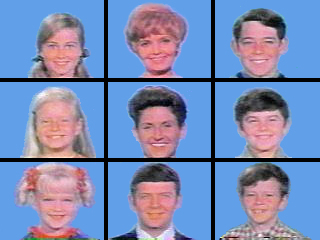 Come meet the new caretaker family, The Brady Bunch! Centering Prayer and Inner Awakening: Based on the work of Father Thomas Keating, Centering Prayer is a form of Christian contemplative practice that is simply a silent, trusting opening of ourselves to Divine Presence using a chosen word connected to breath. Walking Meditation is a natural extension of our meditation and prayer life, a way of “praying without ceasing”. Whether we are walking inside, or outside in the beauty of nature, we can use it as a time to slow down and connect back to “being” in God’s presence. Dream Therapy Learn how to work with your dreams and experience group dream interpretation, using "The Storytelling Method". Singing Meditation We will close our Saturday time with a singing meditation that encourages us to breathe, listen, sing and be at peace. We will share sacred readings, in music that has simple tunes and meaningful texts, and in silence. By singing simple songs over and over, we allow our minds, emotions and bodies to make room for the sacred within. Spiritual Practices Every day in my teaching job people ask me how they can better remember what they learn in our sessions, my response is always the same: "Practice, practice, practice." For thousands of years Christians have used various ways to remind themselves of God's presence, practices to carry us through even the hardest of times. Together we will explore some of these ways of remembering God's constant presence in our lives - spiritual practices. Meals prepared by Jared and Tara Suddaby Our fare will include love-infused salads with hearty, unctuous soups and local breads. Fresh and satisfying vegetarian creations prepared with love. West Coast Gratitude Food. Please note that Junior Camp will run immediately after HOP Family camp from July 12-16. Now you won’t have to drive all the way home and back again two days later! Would you like to help plan reunion this year? Do you have ideas for classes, activities, worship and more? 7pm Alberta time and 8pm Saskatchewan time. The summer is sneaking up on us and it's time to start planning Reunion 2013. Our guest ministry is Art Smith, Apostle designate and current Mission Centre President in South America. He will be attending, hopefully with his family. He has been in touch with Don Compier, our guest minister last year, and is very excited about the opportunity to get out west for a week to be with us. There will be a reunion planning session in the upcoming couple of weeks. If you interested in attending, please contact Chris Phelps chrisinlangley@gmail.com and I will try to find a time that works for all interested. Application Form and Proforma Employment Agreement including Job Description are available by contacting Glen Fishel, Board President, at (360) 757-4559 or by e-mail at glen.mar@comcast.net or, if he is not available, Donald Brady, Camp Manager at (360) 766-8125 or by e-mail at samishislandcamp@gmail.com. Volunteering for your church looks great on a resume. Providing you do a good job, you more than likely will get a great reference from the church pastor and mission president as well. The more volunteer work that you do for your church, the more your work and skills will be noticed by church staff as well as other church members. 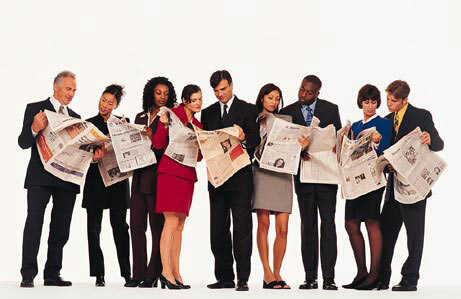 By word of mouth, people will learn about you and the services you offer as well as the work experience that you have. This will help others to see that you would also do a great job in helping them with any jobs that they need done in their businesses or in other businesses in the local community, and they just might recommend you for the job. Most people find that, when someone volunteers for their local church organization, they are going to get a good job recommendation!